In the 1920s the London Symphony Orchestra (LSO) was the city's best-known concert and recording orchestra. Others were the Royal Albert Hall Orchestra, the orchestra of the Royal Philharmonic Society, the BBC's Wireless Symphony Orchestra and Sir Henry Wood's Queen's Hall Orchestra. All except the last of these were essentially ad hoc ensembles, with little continuity of personnel, and none approached the excellence of the best continental and American orchestras. This became obvious in 1927 when the Berlin Philharmonic, under Wilhelm Furtwängler, gave two concerts at the Queen's Hall. The chief music critic of The Times later commented, "the British public ... was electrified when it heard the disciplined precision of the Berlin Philharmonic ... This apparently was how an orchestra could, and, therefore, ought to sound". After the Berliners, London heard a succession of major foreign orchestras, including the Amsterdam Concertgebouw Orchestra under Willem Mengelberg and the Philharmonic-Symphony Orchestra of New York under Arturo Toscanini. After twelve rehearsals, the orchestra made its debut at the Queen's Hall on 7 October 1932, conducted by Beecham. After the first item, Berlioz's Roman Carnival Overture, the audience went wild, some of them standing on their seats to clap and shout. In The Sunday Times Ernest Newman wrote, "Nothing so electrifying has been heard in a London concert room for years. The tone was magnificent, the precision perfect, the reading a miracle of fire and beauty, and the enthusiasm of the audience could not have been greater." In The Times H C Colles said that the LPO was "as fine an instrument as could be wished for"; Neville Cardus wrote in The Manchester Guardian, "nothing more sumptuous and daring in orchestral playing could be heard in more than three other cities between New York and Vienna"; and W J Turner, of The Illustrated London News, praised the orchestra's "youthful dash and virtuosity ... at last we have an independent orchestra which rivals the BBC Symphony Orchestra". During the next eight years, the LPO appeared nearly a hundred times at the Queen's Hall for the Royal Philharmonic Society, played for Beecham's opera seasons at Covent Garden, and made more than 300 gramophone records. There were a few guest conductors for the Sunday concerts, but most were conducted by Beecham. In the Courtauld-Sargent series the LPO played not only under Sargent but under many guests including Bruno Walter, George Szell, Fritz Busch and Igor Stravinsky. During the war the LPO played in the capital and on continual tours of Britain, under Sargent and other conductors, bringing orchestral concerts to places where they had rarely if ever been given. Many of the players' instruments were lost when the Queen's Hall was destroyed by German bombing in May 1941; an appeal was broadcast by the BBC, the response to which was enormous, with instruments donated by the public enabling the orchestra to continue. In January 1951 Boult and the LPO made a tour of Germany, described by Boult's biographer Michael Kennedy as "gruelling", with twelve concerts in as many days. The symphonies they played were Beethoven's Seventh, Haydn's London, No 104, Brahms's First, Schumann's Fourth and Schubert's Great C major. The other works were Elgar's Introduction and Allegro, Holst's The Perfect Fool ballet music, Richard Strauss's Don Juan, and Stravinsky's Firebird. Conductors of the 1951–52 season other than Boult included Ralph Vaughan Williams, Benjamin Britten and William Walton. In 1952, the LPO negotiated a five-year contract with Decca Records that was unusually rewarding for the orchestra, giving it a 10 per cent commission on most sales. On top of this, Boult always contributed his share of the recording fees to the orchestra's funds. In the same year, the LPO survived a crisis when Russell was dismissed as its managing director. He was an avowed member of the Communist party; when the cold war began, some influential members of the LPO felt that Russell's private political affiliations compromised the orchestra, and pressed for his dismissal. Boult, as the orchestra's chief conductor, stood up for Russell, but when matters came to a head Boult ceased to protect him. Deprived of that crucial support, Russell was forced out. Kennedy speculates that Boult's change of mind was due to a growing conviction that the orchestra would be "seriously jeopardized financially" if Russell remained in post. A later writer, Richard Witts, suggests that Boult sacrificed Russell because he believed doing so would enhance the LPO's chance of being appointed resident orchestra at the Royal Festival Hall. In 1962 the orchestra undertook its first tour of India, Australia and the Far East. The conductors were Sargent and John Pritchard. The latter was appointed the LPO's chief conductor in 1962, presiding over what one player described as "an era of supremely good taste". From its outset in 1932, harpists (traditionally female) excepted, the orchestra had maintained Beecham's "men only" regime; in 1963 the rule was dropped, the first woman violinist was recruited, and within two years female players achieved equal conditions of membership with their male colleagues. In 1967 the LPO appointed Bernard Haitink as its principal conductor. He remained with the orchestra for twelve years, to date (2016) the longest tenure of the post. His concerts made a strong impression with the public, and within months the LPO was playing to ninety per cent capacity audiences at the Festival Hall, far outstripping the other London orchestras. Among the composers with whom Haitink was associated were Bruckner and Mahler, whose symphonies featured frequently in the LPO's concerts during the Haitink period, as did those of Shostakovich, particularly the Tenth, which Pirouet describes as the calling card of the orchestra and conductor. With Vladimir Ashkenazy, Haitink and the LPO gave a six-concert cycle of the Beethoven symphonies and piano concertos, for which the Festival Hall was full to capacity. In The Times, Joan Chissell described the orchestra's playing as "worthy of any festival". There was some discontent within the LPO that Haitink's prolific recordings were almost always with the other orchestra of which he was chief conductor, the Amsterdam Concertgebouw. Pirouet comments that as Haitink recorded exclusively for the Dutch firm Philips it was to be expected that the Amsterdam orchestra would be preferred, and in any case the LPO was recording extensively with Boult, Solti, Daniel Barenboim and many others. In the 1970s international tours continued, with itineraries taking in the US, Western Europe, the Soviet Union, and, in 1972, China, long inaccessible to Western musicians, where the orchestra met an enthusiastic welcome. In 1982 the orchestra celebrated its golden jubilee. At the anniversary concert Solti conducted the programme with which Beecham had inaugurated the LPO. Pirouet comments that with the exception of Delius's Brigg Fair, the music was as ideally suited to Solti's musical persona as to Beecham's. In The Guardian, Edward Greenfield wrote, "I doubt if the LPO has ever played so beautifully, even in the days of Beecham". Solti stepped down at the end of the jubilee season, and was succeeded by Klaus Tennstedt, of whom The Times commented, "Tennstedt found the orchestra sensitive and flexible, and his players regarded him with a warmth that is by no means universally extended by musicians to their conductors". His time as chief conductor (1983–87) was celebrated for its musical achievements, but was marked by his failing health and frequent cancellations. As with Haitink and Solti, Bruckner and Mahler were prominent in the LPO's concerts with Tennstedt. Unlike his two predecessors Tennstedt preferred to record with the LPO rather than major continental or American orchestras; among the many sets they made together was a complete cycle of Mahler's symphonies for EMI. 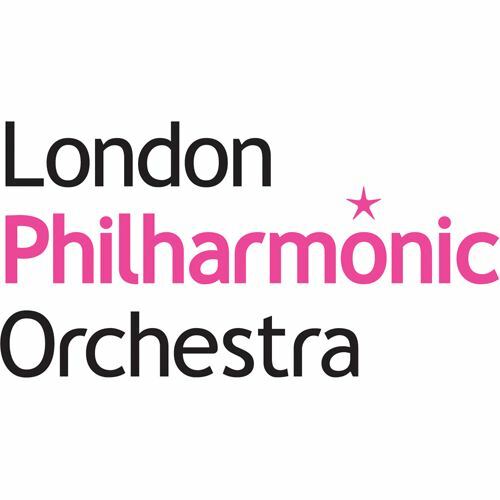 In 1984 the LPO and the Philharmonia began negotiations that went on for years following an Arts Council proposal to name one London orchestra as the principal resident orchestra of the Festival Hall, with concomitant extra funding. The two orchestras were interested in making a counter-proposal for a joint residency, but the matter was not resolved until 1995, when their plan was finally implemented. From the outset of the LPO's existence as a self-governing co-operative in 1939, its chief executive had always been appointed from within the orchestra's ranks. In 1985 this tradition was broken with the recruitment of John Willan, a qualified accountant as well as an alumnus of the Royal Academy of Music and a successful recording producer for EMI. In August 1987 Tennstedt, taken ill at a rehearsal, felt so unequal to continuing in his post that he resigned on the spot. He continued to appear with the LPO as a guest, with the title of "conductor laureate"; in 1989 Richard Morrison of The Times wrote that the LPO still played better for Tennstedt than for anyone else. Tennstedt's resignation was a severe blow to the orchestra, and there was no obvious successor: Morrison observed that the best-known conductors – Barenboim, Riccardo Muti and Simon Rattle – with whom the orchestra was then associated were committed to other projects until the 1990s, and that possible contenders such as Semyon Bychkov and Franz Welser-Möst were largely unknown in London. No successor was appointed until 1990, when Welser-Möst was named as the new principal conductor. His tenure was controversial; he received the nickname "Frankly Worse than Most" and many harshly critical reviews. He brought with him a recording contract with EMI, but management turnover, financial stresses, and political disputes at the Southbank Centre at the time contributed to the difficulty of the working atmosphere in the orchestra. There were complaints that the orchestra's high standards of playing were not consistently maintained. Welser-Möst's period as principal conductor coincided with the installation of the LPO as the sole resident orchestra of the Festival Hall. This proved a mixed blessing: the Southbank Centre management now had a say over concert programming, and insisted on the inclusion of works by obscure composers which did severe damage to box-office receipts. 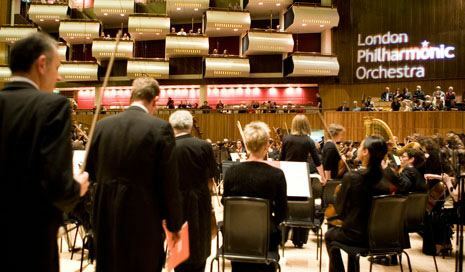 In 1993 another official attempt to create a "super-orchestra" at the expense of one or more of the existing London ensembles briefly damaged relations between the LPO and the Philharmonia, but the idea was quickly abandoned, and in 1995, with the consent of the Arts Council, the two orchestras agreed to share the residency at the Festival Hall. The orchestra has made many non-classical recordings, including such titles as Hawaiian Paradise (1959), Evita (1976), Broadway Gold (1978), Folk Music of the Region of Asturias (1984), Academy Award Themes (1984), Japanese Light Music (1993), The Symphonic Music of Pink Floyd (1994) and The Symphonic Music of The Who (1995). 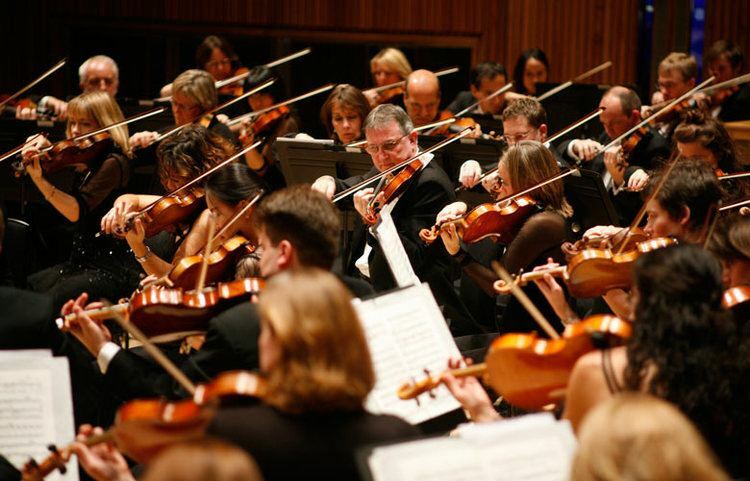 In May 2011 the orchestra recorded the 205 national anthems to be used at medal ceremonies at the Olympic and Paralympic Games in London the following year. These versions of the anthems were re-used at the 2016 Olympics, held in Rio de Janeiro.